NAPSA member sanctuaries have varied histories and specific expertise areas, but also many commonalities. Each provide enriched and professional lifetime care to retired animals. 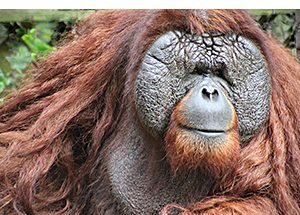 NAPSA member sanctuaries care for over 800 primates rescued and retired from private ownership, the entertainment industry, and the research industry. This includes 380+ chimpanzees, 140+ capuchin monkeys, 90+ squirrel monkeys, 60+ tamarins, 40+ macaques and even 20+ orangutans. Must rescue and provide care and a lifelong home to primates who have been abused, injured, abandoned or are otherwise in need. Must espouse NAPSA Core Values and Code of Conduct. Must have implemented birth control protocols to prevent propagation of the primate residents. Must be a 501(c)(3), non-profit organization (or equivalent in countries other than the United States). Must be accredited by the Global Federation of Animal Sanctuaries (GFAS) or certified by the Association of Zoos & Aquariums (AZA). Must obtain a USDA license (or Canadian/Mexican equivalent) and maintain required state/provincial and municipal permits and licenses. Must have a “whistleblower” or ethics complaint policy in effect. Must not engage in the commercial trade of primates. Must not allow primate residents to be used in entertainment. Must not allow unescorted public visitation. Must not allow direct physical contact between the public and the non-human primate residents. Must not accept more primates than can be responsibly cared for without exceeding the available financial resources. Must not participate in research unless the studies directly benefit non-human primates, are observational or do not require anesthetic events in addition to health checks, and do not interfere with the normal daily activities of individual primates. Must not allow primates to be removed from the property for purposes of fundraising, exhibition, education, or research. Introductory membership in NAPSA is intended for organizations not yet within one year of attaining GFAS accreditation or AZA certification and/or USDA licensure. This level of membership provides entrance to the NAPSA community and comes with access to its wealth of knowledge and expertise and helps prevent new sanctuaries from having to “reinvent the wheel.” Introductory members may be in the process of setting up a sanctuary for primates but without residents yet, or may already have residents but be in the process of formalizing or improving organizational structure. Introductory members must reach the transitional level within one year of joining NAPSA. Transitional membership in NAPSA is intended for organizations that already have residents and are within one year of meeting all of the requirements of full membership. If a USDA license and GFAS accreditation / AZA certification are not already in place at the time of membership, these must be applied for within 6 months of joining. NAPSA can assist members with these applications. Representatives of transitional member sanctuaries may be selected by the Steering Committee to serve on a NAPSA committee, but do not serve on the Steering Committee itself. Transitional members must reach the full membership level within one year of attaining transitional membership. Full membership in NAPSA is intended for organizations meeting all requirements of NAPSA membership. Representatives of full member sanctuaries are eligible to serve on the Steering Committee (according to current Steering Committee criteria). USDA licensure is one of the requirements for sanctuaries to join NAPSA. The transparency offered by the public’s ability to view USDA inspection reports is one way to ensure that facilities housing animals are held accountable for the animals in their care. Download NAPSA Member Sanctuary USDA Inspection Reports.